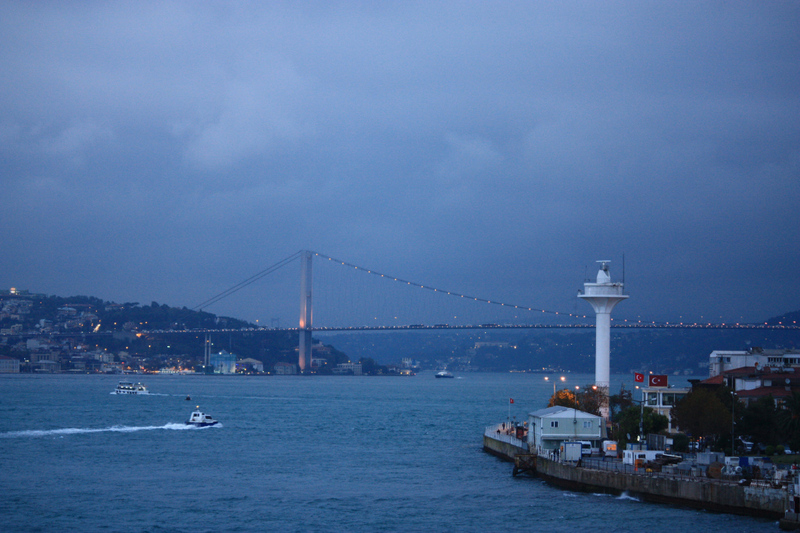 Istanbul was my Birthday present from my boyfriend. We had there 5 days, but this time I would like to mention only the birthday itself. 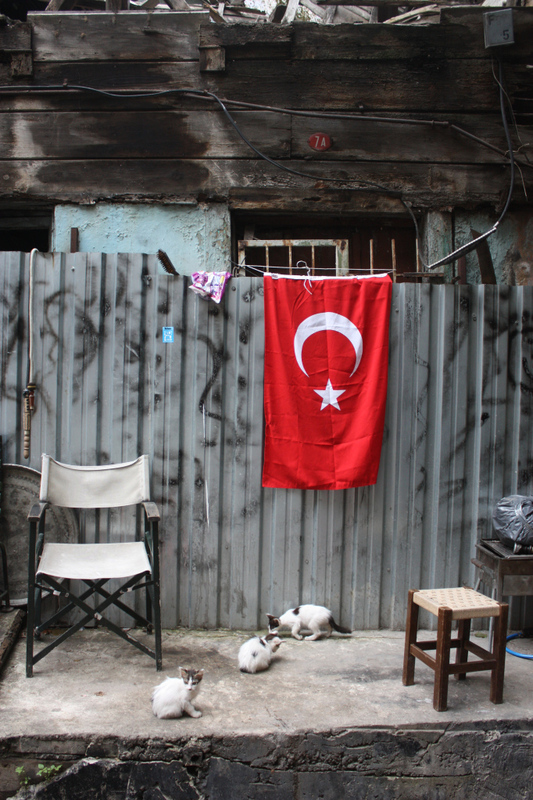 We did something in Istanbul that is just impossible to do anywhere else. We made a trip from Europe to Asia in one hour and jumped in 5th century. 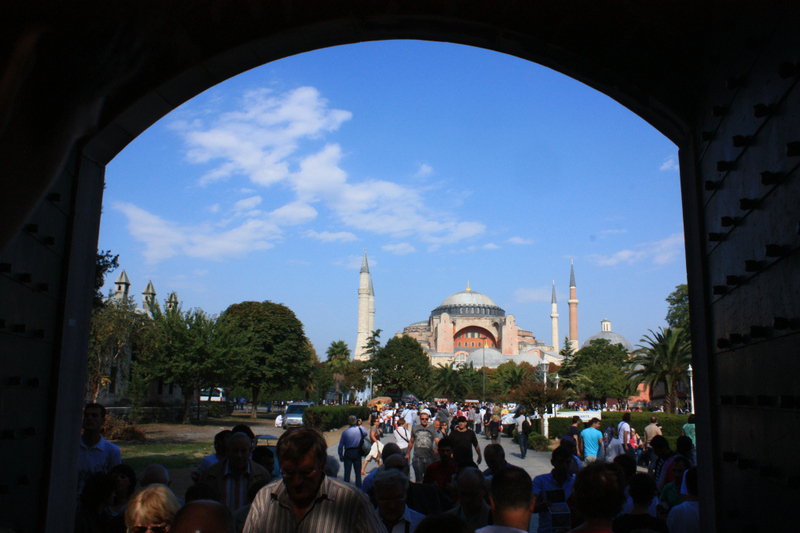 We started that day with a visit to Hagia Sophia. Impressive cathedral turned into a mosque is a must-see place in the city. That is why the long line of tourist is visible even in off season. Touching the stones of it is like touching a history. I imagined how they collect every brick for Sophia cathedral’s erection in 360, how they totally rebuilt it in 537 after a great fire, how Byzantium kings was crowned inside it… During more than 1500 years this building was a witness of prosperity, wars and transformation of Istanbul. And today we are just another temporary visitors, that mark its history with our shoes. It is a big impression, believe me! 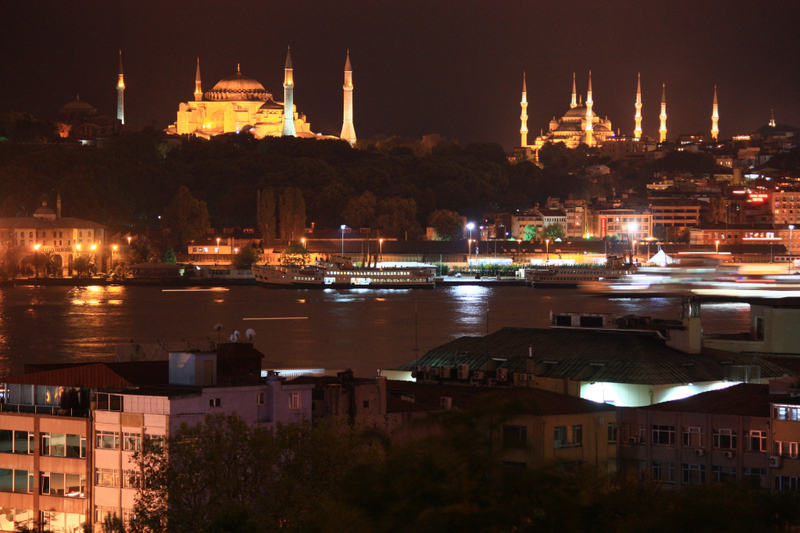 From Roman times and remains of Constantinople we jumped into Turkish present. The best of everyday life is always displays in the center of the city, bars or markets. But as Turkey is famous for its bazaars, we couldn’t skip a chance to let the experienced sellers take care of our money. At least thats what they promise while giving to try sweet delights. 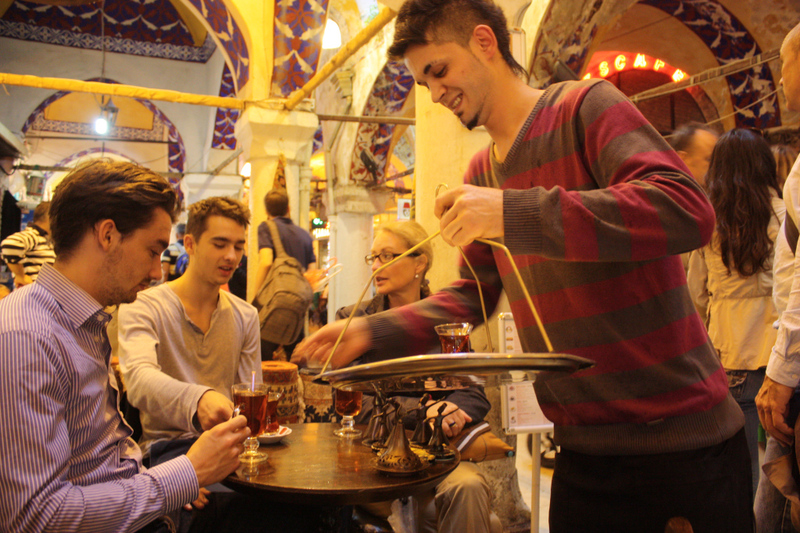 Old Market (Grand Bazaar) is definitely a cult place, oriented mostly for tourists. 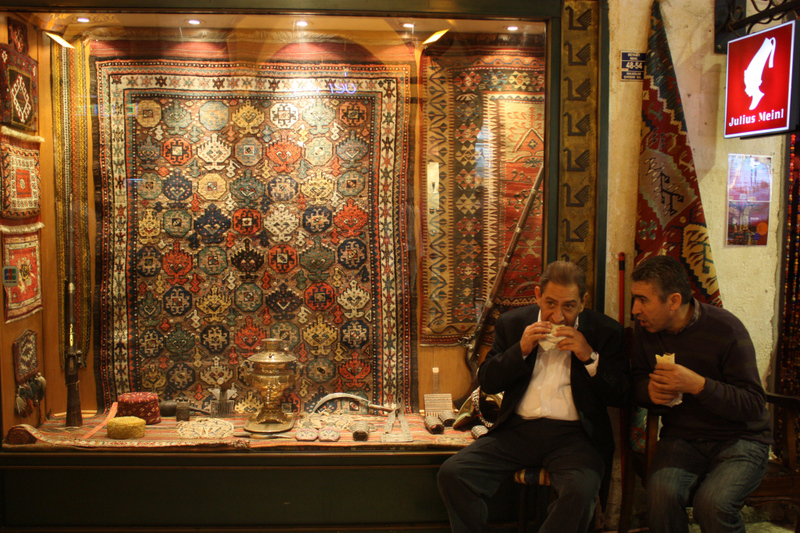 Among tons of gold, variety of souvenirs, carpets and silk scarfs we found a cosy place to drink a Turkish coffee. The small tables was placed so close to each other that I could easily touch neighbors with my knees and hear they whisper. Some old englishwoman told her friend ‘I just can’t believe it is possible to see everything here in one day! Do you know that it is one of the largest and oldest covered markets in the world?’ Now I also know. Five centuries of trade and still no one is tired of shopping? Amazing! At least we were enjoying our coffee while the heavy rain attacked the city. What a Brownian motion! 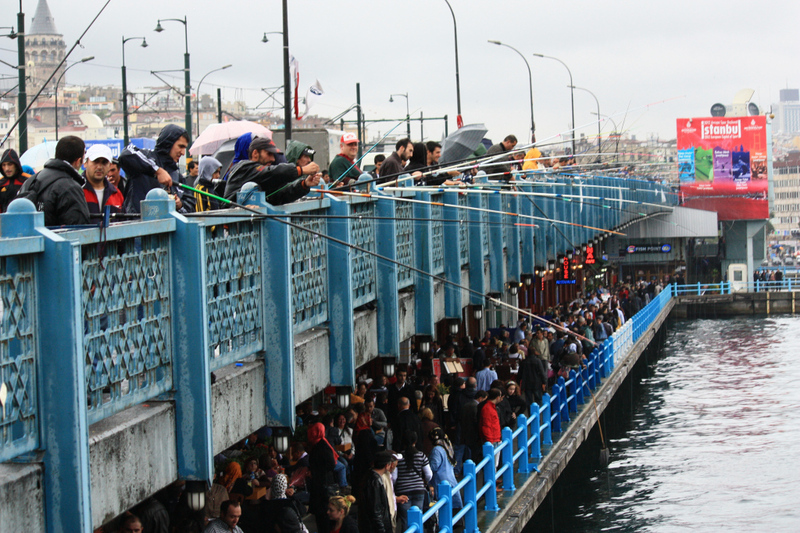 The high Galata tower on the other bank is our next goal. Climbing up and up we reached this iconic place. They told us in our hotel, that on the top of it there is exclusive restaurant, where the minimum bill should be 100 euro per person. No, thanks. 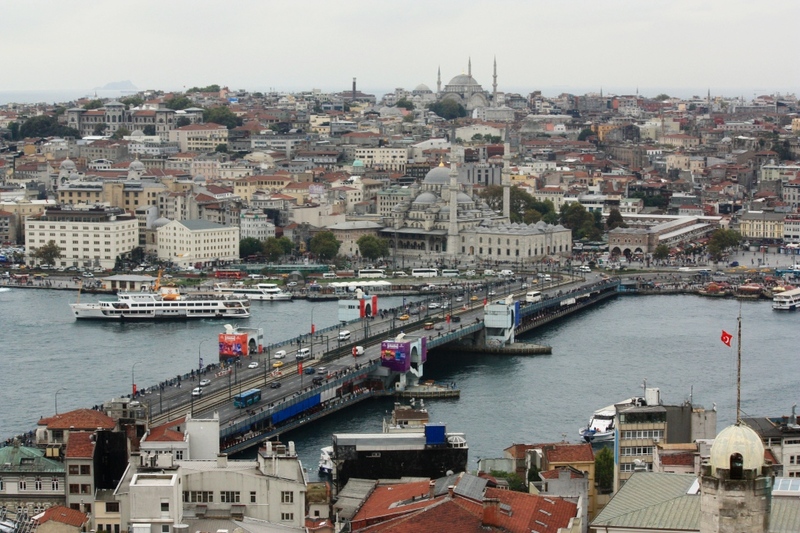 We would appreciate only a view from the viewing point, for 10 TL (5 euro). From this 66.90 meters tall piece of history I got absolutely amazing panorama of both continents! Only strong wind cooled down my warm emotions. Unexpected we finished the day on the island in Maiden’s Tower. From a small sightseeing point again we had a great panorama, but this time mostly to Europe. This day officially I became older together with the city. 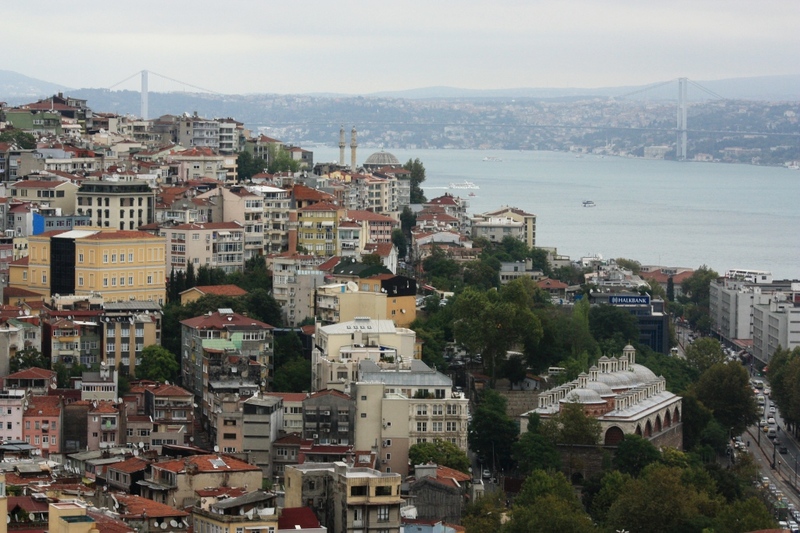 Istanbul in 360 ° looks quite European, but its minarets still mark its Asian face. So what will we see next? I’m waiting!